Robert Herrick. Clothes Do But Cheat And Cozen Us. CLOTHES DO BUT CHEAT AND COZEN US. Is won with flesh, not drapery. 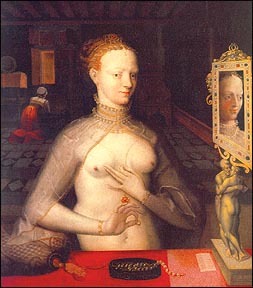 Master of the Fontainebleau School. Created by Anniina Jokinen on January 14, 1998. Last updated on February 12, 2001.